Don’t wait for the perfect data and systems to start delivering transformational business value – start leveraging analytics today. Learn about the process critical to using analytics: innovative data leveraging, a data-driven approach to driving change and influencing stakeholders. 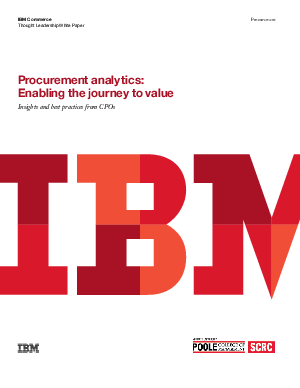 Learn how analytics paves the way for deeper insights using cognitive technologies, insights that can transform the procurement landscape. Fill out the form to read the white paper now.